This paper studies and proposes an extended technique of function point counting for items classified as non-measurable. The main objective is to expand the conventional technique of counting to ensure that it comprises consistently the tasks involved in building portals and sites in general. In addition, it also applies to measure the cost of continued activities related to these web applications. The extended technique is potentially useful to measure several products associated with information systems, including periodicals publishable in intranets. You can not imagine how everything is vague until try to do it accurately. “FP analysis (FPA) is not useful to size Web Design. FPA is useful to size web development, but not web design. [...] FPA is not useful in estimating the time necessary to create graphics, images, page layouts, so on and so forth”. During the eighties and until the beginning of the 21st century, a number of authors have discussed the metric procedures in vogue (Albrecht, 1983; Dreger, 1989), analyzing its applicability to object-oriented software (Whitmire, 1993), its advantages and disadvantages (Jones, 1994). Also, Kemerer (1993) studied the reliability of the FPA technique. Important contributions to understanding the complexity inherent to software engineering were brought by Indian school (Jalote, 1998; Ram et al, 2000). More enthusiastic works about FPA appeared since 2000 (Garmus & Herron, 2001). 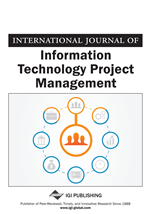 The function points measurement technique has generated much controversy since its dissemination as an ISO recognized tool to size information systems, both as regards its general purposes (does it measure productivity, size, complexity or functionality?) and in relation to mathematical rigor under the concept of metric. In particular, with respect to the latter, being the number of function points a dimensionless quantity, some authors claim that there was no way to analyze and seek information from numbers not associated with a reference system (Abran & Robillard, 1994). This is not entirely true. In science there are many dimensionless numbers widely applied in several fields as hydrodynamics, geophysics, optics and others. A dimensionless metric, being independent of the reality beneath evaluation, is useful to compare two or more objects abstracting a lot of details of these objects, placing them in the same plane of observation and providing a perspective that would be inconceivable without a standardized approach. Perhaps the difficulty is to precise the mathematical structure and the semantics of the metric, that is, what the metric formally measures. “Function points are oriented towards data-strong systems, typified by business software. Processing in these systems is simple. Most effort goes into defining data structures. Not all systems fit this pattern. Scientific and engineering software is often function-strong: dominated by the internal processing required to transform inputs to outputs”. The present model, although it stemmed from the need to measure the development effort of sites and portals, aims to incorporate not just the typical non-measurable items but all function-strong software processes, including operational system migrations.